This is a Second Edition Tobin Fraley, produced in 1988. This piece came with a slightly curved music-box base. The effect was to create a complete circle, if you had enough of them - so making it look like a full carousel platform. It was also offered with a small brass clawfoot base. 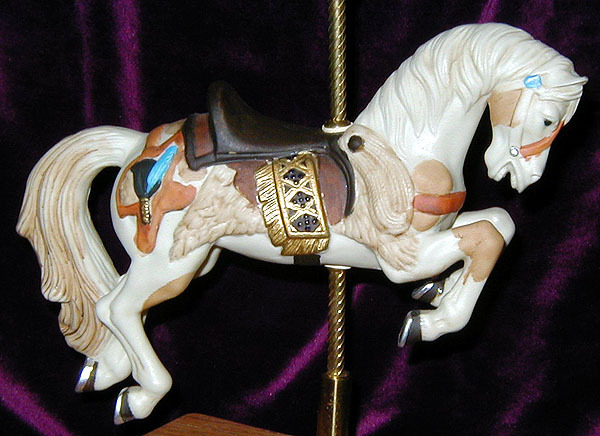 The piece is about 7" to the top of the pole, and the horse moves up and down as the music box plays. Each base configuration was limited to a run of 17,500.